Annie, what made you sign up to this event? It sounded like such a fun event to be part of, I signed up as soon as the Fundraising Team announced it! Some dear family and friends have been cared for by the Hospice which is why it’s so close to my heart. Was the event what you expected? It was even better! There was an amazing atmosphere from the moment I arrived. Excited and colourful women, young and old, everywhere you looked. People laughing and having their faces painted, it felt a bit like a carnival. What was the highlight of the night for you? I was very proud to have been asked to lead the walk so that everyone knew where to go. We had marshals in place too all along the route but it was a great feeling to know that I was marching 900 women and girls along. I got so into it waving my glow sticks about that when I turned around a couple of times my fellow walkers had lagged some way behind so I had to wait for them to catch up! How much have you raised in sponsorship so far? So far it’s £366 online and I have raised about £250 from good old-fashioned sponsor forms. People have been very generous so I would just like to say a really big thank you for your support. It means so much to me and I know it does to the Hospice too. What would you recommend people do to prepare for the event? I’m a keen walker anyway and have two dogs that need a lot of exercise so it was easy for me to cope with that distance. Though I must say I don’t usually walk quite so fast or with glowing bunny ears on! It’s an event for people of all abilities and five miles is an achievable distance that you only really need to put in some gentle training in the weeks leading up. Would you take part in this event again? Yes, I can’t wait until next year! Thank you to Annie and everyone who took part in and supported ‘Glow with the Flow’. We had more than 900 walkers glowing as they walked from West Kirby to Hoylake and back for our five mile walk! We are delighted by the support we received from local business and the council which enabled this event to be such a success and we hope to have raised over £20,000 from this amazing walk. Visit our Facebook page to see photos from the night. There are lots of ways people can and do support our charity’s special work. Thank you to everyone who fundraises or supports local fundraising activities in aid of Wirral Hospice St John’s, we are very grateful for your help. Lottery Rollover stands at £7,000!!! Our Hospice’s weekly lottery has a top weekly prize of £2,000 and the second prize of £500 can rollover up to £10,000! There are also 32 other guaranteed cash prizes to be won every week. For this week’s draw on Fri 24 June 2016, the Rollover currently stands at an amazing £7,000!!! 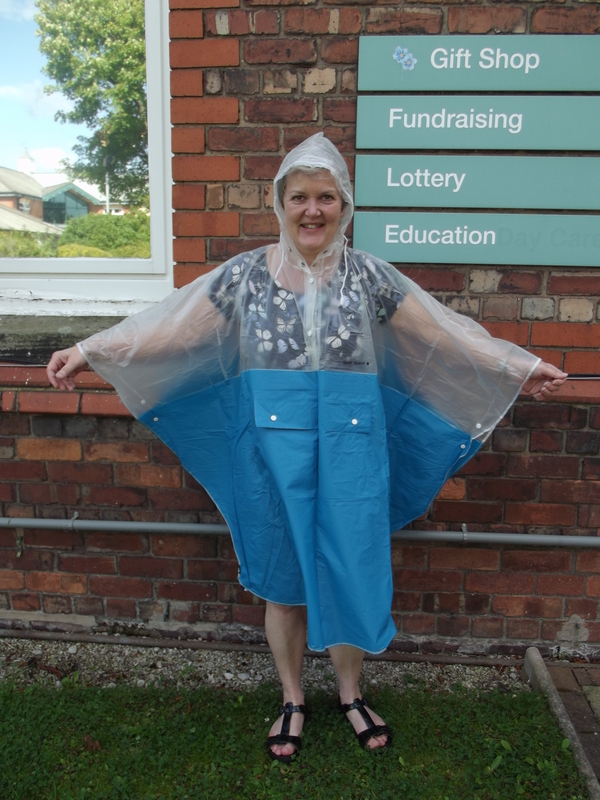 If you would like to become a weekly member, paying £1 a week, please call our lottery team on 0151 334 0348 or pop in to the fundraising office. You’ve got to be ‘in it to win it’! A chance to win…a way to care! Beautiful garden, new to the NGS calendar this year. Admission £3 adults, free for children. Refreshments on sale in aid of our Hospice. Bands: Absaloot, Survivors of Mild Peril and Mono LPS. Organised by supporter Andy Barnes to mark his 50th birthday in support of the Hospice. Weekend of folk music organised by the Wirral Ukulele Orchestra, Summer Strum is in aid of our charity and MIND. Free entry, great family atmosphere. Camping spots even available if you don’t fancy travelling back and to. Should be a cracking weekend! Our team of intrepid Hospice Heroes will be taking on the challenge of cycling from London to Paris. An amazing amount of money has been raised by the group so far and there are some incredibly moving stories as to why they are taking on these personal goals. If you’d like to support any of our cyclists with a donation or are perhaps even keen to take on your own personal challenge, even if it isn’t quite as arduous as cycling 300miles, please contact Michelle, Sam or Jamie-Leigh on 0151 343 0778 about what runs and challenges we have coming up. Ever wanted to take part in hit TV show from yonder years? Now is your chance! £10 per person, teams of 6-10 and we can help make up teams. Please get in touch with Jamie-Leigh on 0151 343 0778 if you fancy a whirl or would like to volunteer at the event. It should be a fantastic laugh and great atmosphere for participants and spectators. Free entry for those coming along to watch and cheer on the teams, there will be food stalls and a bar, as well as children’s rides and entertainment too. Please vote for us in the Sainsbury’s Local Charity Public Vote! We’ve been shortlisted for both Sainsbury’s Upton and Sainsbury’s Neston it would be great to get selected to one of their partners and truly incredible if we end up partnering with both! Votes count, so please do it on work computers and any mobiles, laptops, tablets etc you have at home. Please encourage your friends and family to vote for us too. We only have until Sun 26 June to register votes so don’t put it off too long, please! If you have any questions, suggestions or burning ideas to raise funds for Wirral Hospice’s special care and support of our patients and their loved ones, please don’t hesitate to get in touch with me: Teresa Nightingale, Head of Fundraising 0151 343 0778 / fundraising@wirralhospice.org, thank you. Biggest #thankyou ever for all the patient trolley donations we’ve received! 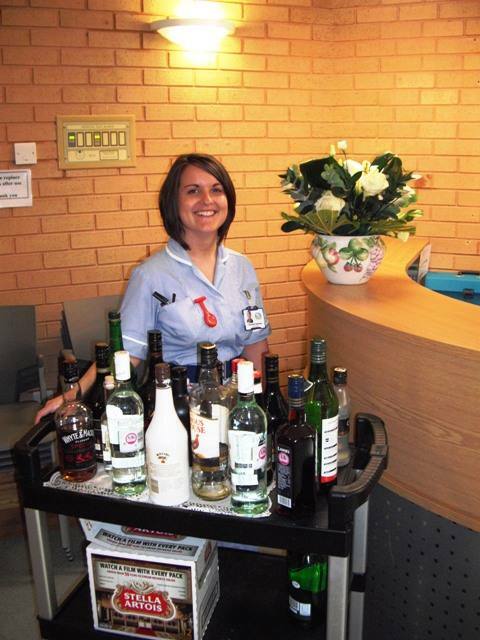 We have been absolutely overwhelmed by your generosity towards our patient drinks trolley request. Thank you so much! 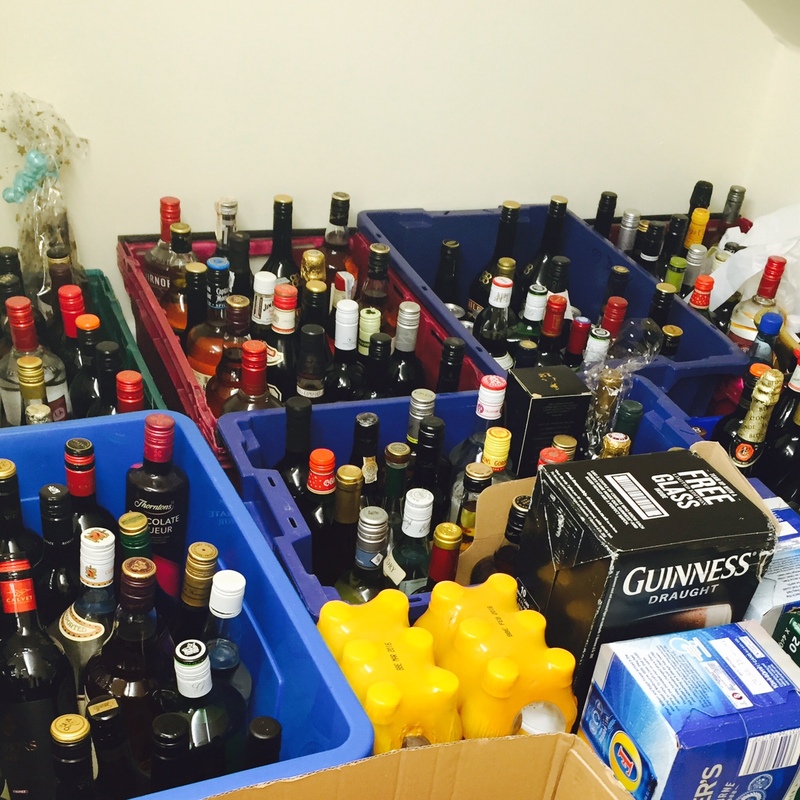 Hundreds of bottles of spirits and wine, cans of beer and cholcolate snacks have been donated to Wirral Hospice St John’s in the last few weeks. The donations have been coming and coming and coming… Our patient trolley will be stocked up for years to come at this rate! This all came about thanks to Facebook Memories throwing up an old post of ours from two years ago, and it getting liked and shared hundreds/thousands of times! We are so very grateful to everyone for thinking of our patients – they are offered a drink or two under medical supervision to help them relax and to help stimulate appetite. We must stress that it isn’t a carnival atmosphere at the Hospice (well not every day!) but it is a happy and homely place so a small drink can be a wonderful tonic for our patients, as many of us will appreciate. Some of the bottles we’ve been donated are probably not appropriate for patient consumption (Tequila, Absinthe…) and we have more than enough spirits to last us a few years – so we will be using some the donations as fundraising raffle prizes to in turn help raise money for the Hospice’s day-to-day care and support of our patients and their families. If you would like to make a small donation in lieu of bottles for the trolley, you can send a cheque made payable to ‘Wirral Hospice St John’s’ to Wirral Hospice St John’s, Fundraising Office, Mount Road, Higher Bebington, Wirral CH63 6JE or you can text DRNK15 £2, £5 or £10 to 70070. Fundraising volunteers make up a major part of the fundraising team and without volunteer support in the gift shop, the Fundraising Office, our six charity shops and out at fundraising events the Hospice would struggle to raise the funds needed to provide the very important care that it gives to the Wirral community. Our Hospice gift shop is open Monday-Friday 10am-4pm from September to January and is staffed by a team of dedicated volunteers who get the first glimpses of new stock, label them up and put them out for customers to see and, hopefully, buy. It is exciting every time new stock comes in and handbags and shoes always cause a bit of a stir within the office. This week, two of our shop volunteers, Linda and Barb, were labelling up some gorgeous new jewellery that had just arrived and they shared why they loved volunteering at the shop. ‘I like being part of the fundraising team and giving something back’ says Linda, who looks forward to seeing customers she sees every year who buy their Christmas cards and gifts from our shop, Linda says ‘it’s really nice to get to know people and see them again and again’. Barb’s personal experience with the hospice bereavement group is part of why she volunteers ‘It was hard going to the group that first time, but I made some amazing friends and I’m glad I went’ Barb explained that she volunteers so that services like the bereavement group can continue. Away from the Fundraising Office we have six charity shops across Wirral; Claughton, Heswall, Liscard, Moreton, New Brighton and West Kirby. Each of these shops need on average twenty five volunteers per week to operate fully. 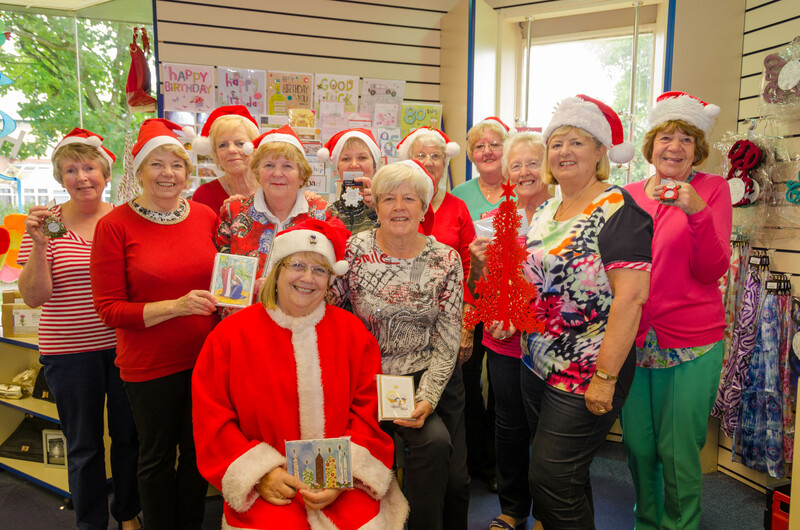 This army of volunteers receive donations, organise and arrange stock, clean, tidy and decorate the shops along with greeting and selling to customers. Volunteers in these shops love to see what treasures have been donated, some of the largest being a 1980s trailer tent and a 1960s pram. Sometimes we get some very unusual donations which cause a bit of a buzz among the retail team; often these rare beauties are taken back to the fundraising office to be listed on our ebay shop. Along with volunteers who come into the Hospice and shops regularly we also have volunteers who come to our fundraising events and stalls to assist with tombolas, raffles, selling goods & refreshments etc. Each event is different and there are many funny stories of wild British weather, or crazy fashion shows and fancy gala dinners. Behind many events there is a great deal of cake, and where we have refreshment stalls we have cakes lovingly baked for the Hospice by our baking volunteers who are called upon before an event to see if they are free to get cooking. These donated cakes not only keep our refreshment stalls well stocked but provide great variety to each event, as there is always a different flavour available from the classic Victoria sponge to marmalade and butterscotch. If you would like to join the fundraising team please call 0151 343 0778 or email jacintaw@wirralhospice.org and we will be able to provide you with more information on what opportunities are available. As a charity, we rely heavily on the generosity of the local community and are extremely thankful to those who support us. We are blown away by their kindness and the hard work they put in to raise vital funds to support our work – sometimes even, by the adrenaline-inducing ways in which they choose to fundraise! Wirral Hospice supporter Paul Robinson, who has raised £895 to date, started his ‘crazy journey’ in December 2014 when he began training for a challenge that is widely considered as one of the most difficult one-day sporting events in the World. ‘Ironman‘ consists of a 2.4 mile swim (equivalent to 158 lengths in a standard pool), a 112 mile bicycle ride (equivalent to Liverpool to Cheltenham) followed by a full marathon (26.2 miles). Each part of the challenge is raced in that order, without a break and must be completed within a strict 17 hour time limit. (We’re exhausted just thinking about it!) But for Wirral Hospice supporter Paul Robinson, this challenge is both an exciting and important journey. “I’m racing in memory of my wife’s mother, Bernie Hudson after Wirral Hospice played a key role in supporting Bernie and her close, loving family before she passed away. To complete the challenge, I started working on my general fitness, progressing to become more powerful and more of a triathlete. It’s going to be an exciting, if not painful journey to become an Ironman”. Also adding to the challenge will be the temperature. Ironman events are held all over the World, including in Nice, France (Sun 28th June) where Paul will be swimming in the Mediterranean Sea, biking in the Alps and running along Nice’s historic waterfront – all in a 28C degree heat. Now that’s a challenge. Best of luck Paul. We’re all rooting for you!